Is filtered water really a better choice for aquaponics? Doesn't my well water have all the nutrients and minerals that I am going to need for growth? These are some of the questions that I had when putting my system together as well and now that I have been running for almost a year I have learned a few tricks on the matter. I originally thought that the best source of minerals and nutrients to supplement the system would come from my well water. Over the course of the last year I have found this to not be entirely true and also, the well water causes more pH issues than it is worth. Now, don't get me wrong, I am not saying that you cannot use well water here. 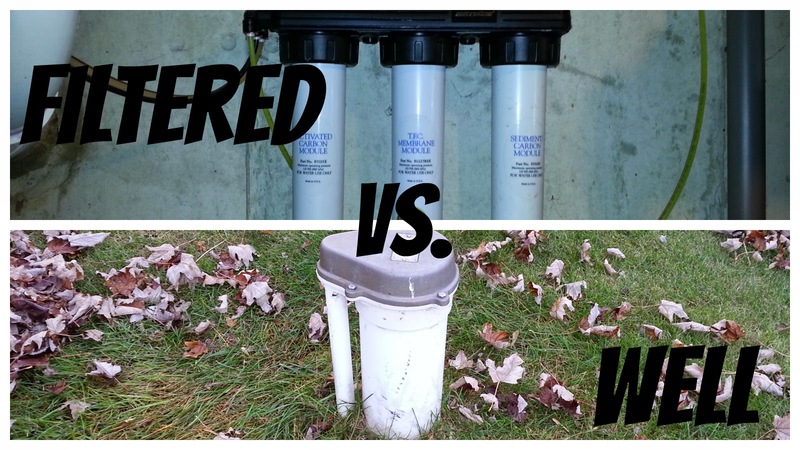 There is definitely a way to get around the pH issues and top off the system with your local well water. It is also important to note that not all well water is the same, it depends greatly on where you are in the world. In my case the main issues was the presence of a large amount of carbonates in the well water. If you are unfamiliar with the concept of carbonates I have more info in another video here - http://youtu.be/NSXmwaPBQp8. What the carbonates were doing was not allowing the pH in the system to drop below 8. No matter how much acidic solution I added to the system the carbonates would continue to buffer the pH back up. I also had some issues with this same concept due to the river rock that I was using and have recently corrected that as well. The bottom line here is that although you can use well water in your aquaponics system you might be better off installing even a simple inexpensive filter to at least get rid of some of the carbonates. You can still supplement nutrients if needed but in most cases this is not normally necessary. Using filtered water will allow you to have more control over the water quality and bring the pH into the perfect range for both your fish and your plants. I came across your website on a YouTube search for aquaponic systems. I love your channel and am completely inthused on your system. I plan to build similar system with 2 grow beds and can't wait to get started. I like your design with the automatic top off for the sump. It will save time and less maintantence. I am using city water and I was wondering if your concept will work with my system? Don't I need to "off gas" the water before it is safe to add into the system? The auto top-off has been a huge time saver and I have had no issues with it at all since I set this system up. The only think I would worry about with city water would be the chlorine that might be in your water. There is a treatment that you can get (same for fish tanks) that you would just have to add regularly to take that out. You are going to have to do that anyway so I suppose it would be fine as long as you make sure you treat your water with the dechlorinator regularly and don't forget. You could also add a filter like this one - http://amzn.to/1MKUs3R. Hope that helps and let me know if you have any other questions! Sounds good, let us know if you need anything!